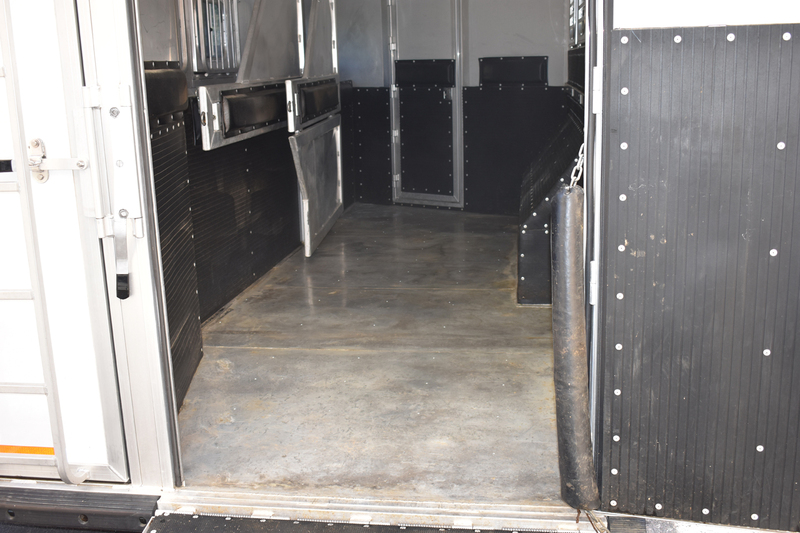 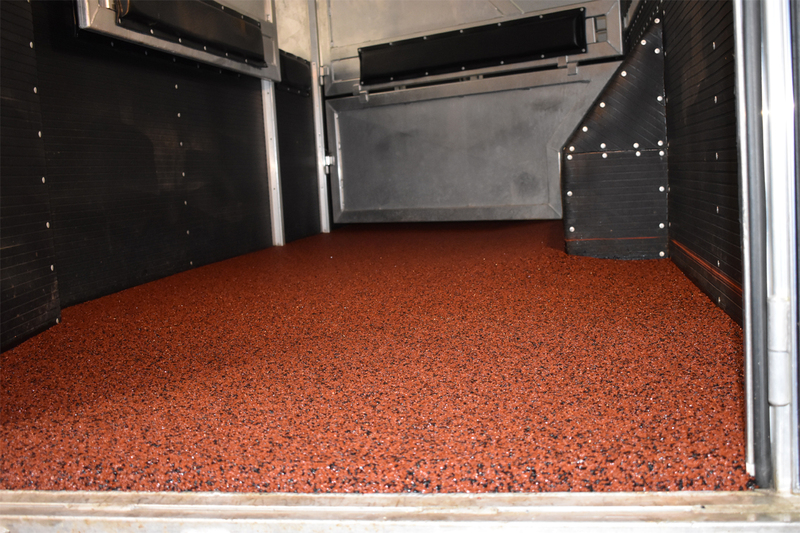 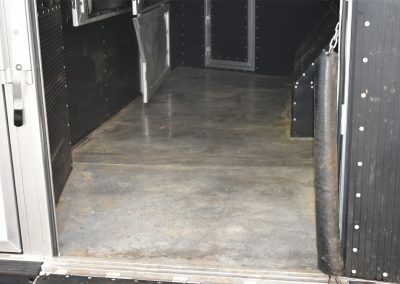 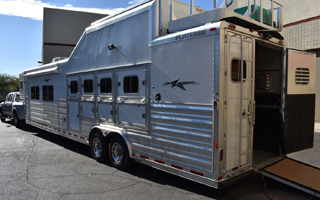 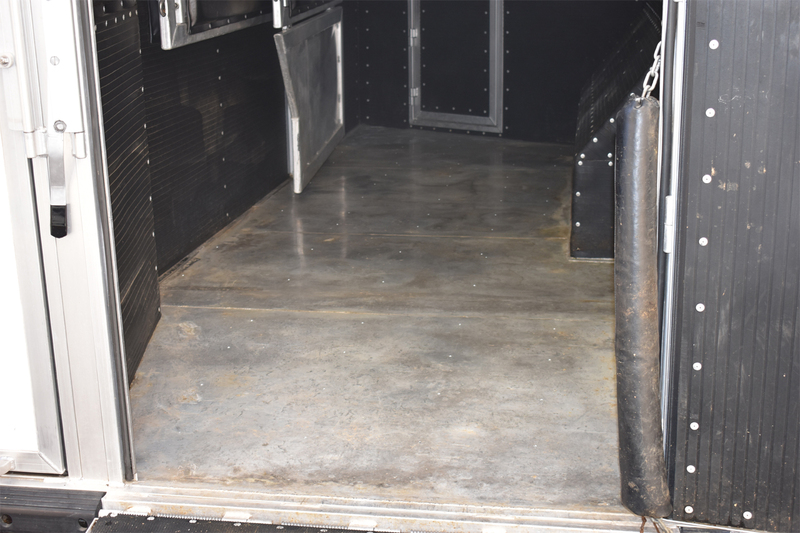 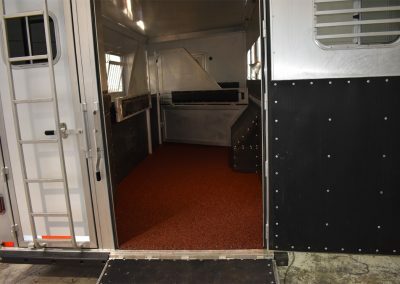 This Polylast installation features 100 square feet of Comfort and Safety Flooring in a Platinum 4 horse trailer. 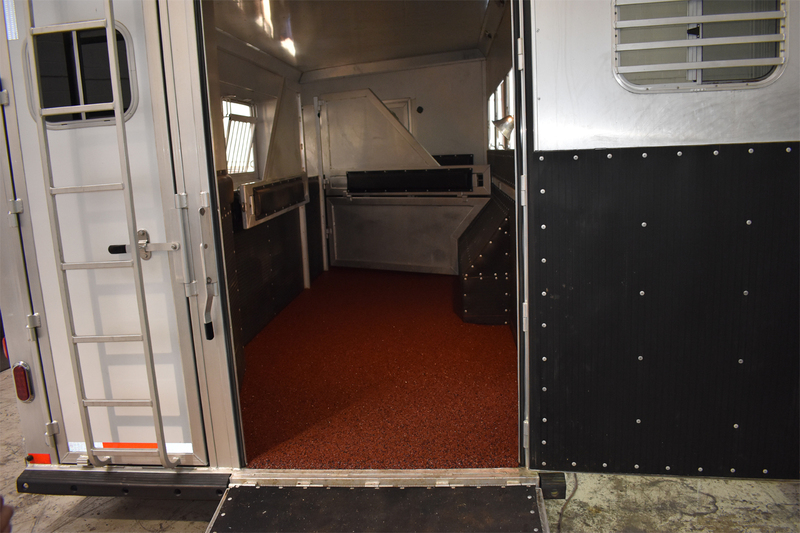 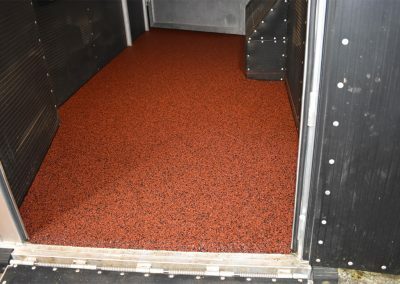 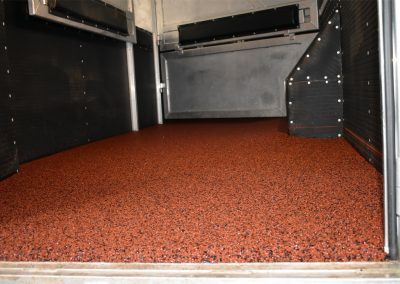 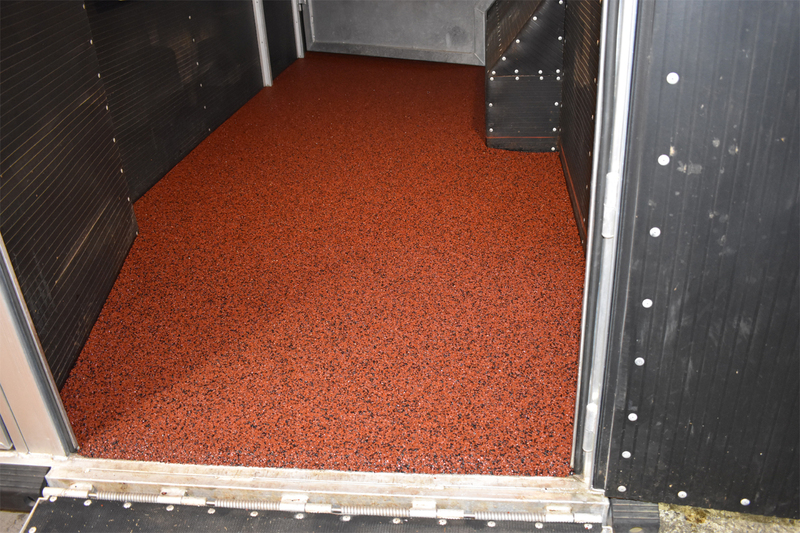 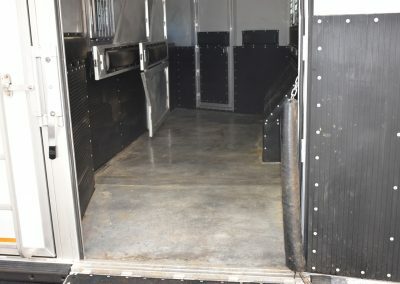 The owner, Martin Nelson, chose the color Sunrise for his horse trailer flooring installation. 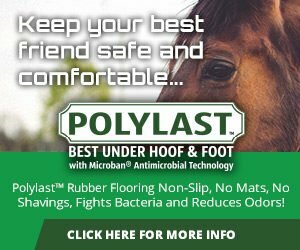 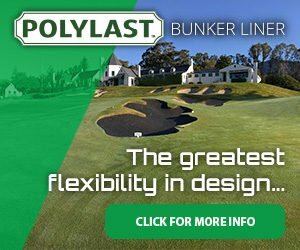 Check out all Polylast flooring colors on the color options page.